From last year's team, only myself and Geoff are returning due to life events, so we had to add three more players to the team. Somehow I managed to snag Andrew Whittaker, Warzone: Atlanta 2017 champion. From there I reached out to Phil (of Glacial Geek fame) and he brought along his friend Marcus. Just like that we had a team. After some deliberation, we opted to change the name of the team to Facing the General Geek (which narrowly beat out Team Your Voice Sounds Familiar). From there, it was a matter of choosing factions and lists. Early on, as a team we decided none of us were terribly interested in chasing the meta to the furthest lengths of power, particularly with the Big FAQ looming at the time. Instead we agreed our focus would be largely on each of us bringing armies we liked and having 6 fun rounds of games. Maybe I should have brought some Genestealer Cult and made the claim that my GSC were pulling the strings with all these Imperial armies. The previous version didn't have the third detachment, so had the Carnifexes running in the Kronos battalion. 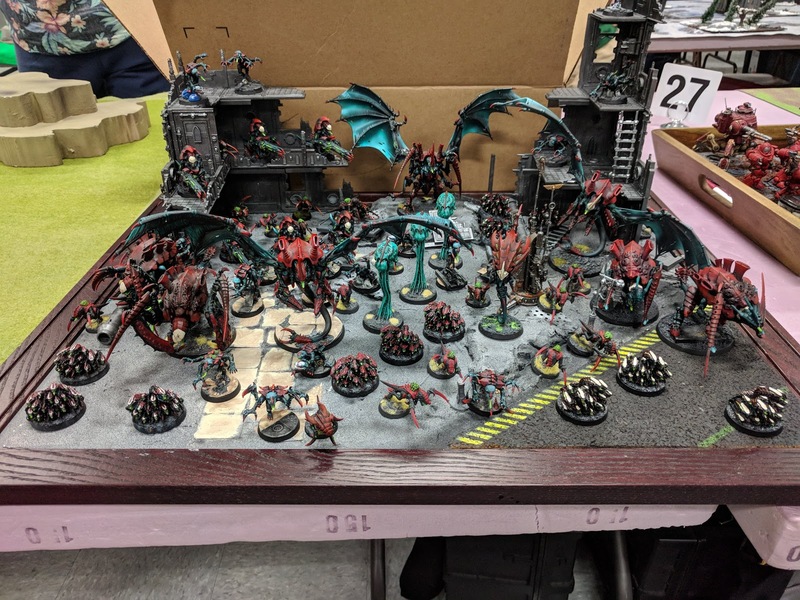 I dropped the Meiotic spores and Hormagaunts from the previous list to make room for the fifth HQ, and added in a Malanthrope to help protect the Hive Guard. As a result, just about everything starting on the board will be -1 to hit in shooting, hopefully adding further to my list's durability. 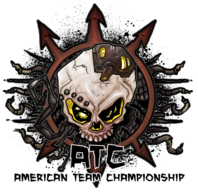 The rest of our team's lists can be found here, and all the lists for all teams can be found here. Anyway, I'm hitting the road. Follow along with the event through the Best Coast Pairings app, and our team via our various social media outlets. If you're at ATC, come find our team and say hello!